The 'Rock of Ages' star - who split from Katie Holmes in June after six years of marriage - hasn't visited their four-year-old child Suri in 10 weeks but is said to be planning to see her as soon as possible. The 50-year-old actor's long-term lawyer and good friend Bert Fields told the MailOnline: "Tom is a loving, caring father. Suri is a vital part of his life and always will be. "Of course he'll be seeing her soon. He's in England finishing one picture and preparing another." Tom is apparently "absolutely" looking forward to seeing his youngest child very soon and is extremely proud she recently started attending school in New York, where she has been living with her mother Katie since she was awarded sole custody. The actor has been speaking to her "once or twice" daily since relocating to London to film his new thriller 'All You Need Is Kill' last summer. He said: "He misses her." The actor last saw the six-year-old when he took her away to Disney World in Florida at the end of July - and the pair were pictured frolicking in the waves at the Typhoon Lagoon at the family resort. 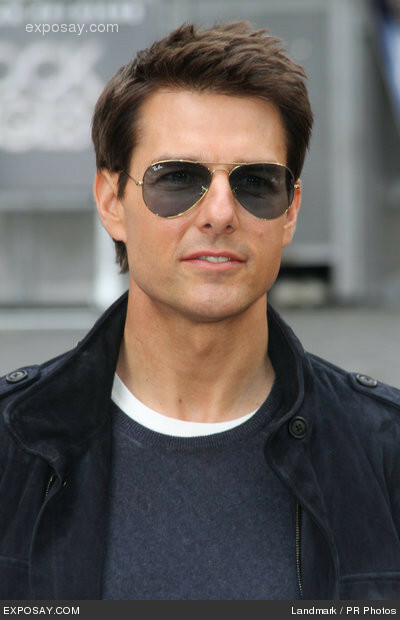 The 'Top Gun' star has been making the most of his single status and has been spotted out on the town in London multiple times in recent weeks with celebrity pals including Usher, Sir Ridley Scott, Matt Damon, Cameron Diaz, Emily Blunt and John Krasinski.